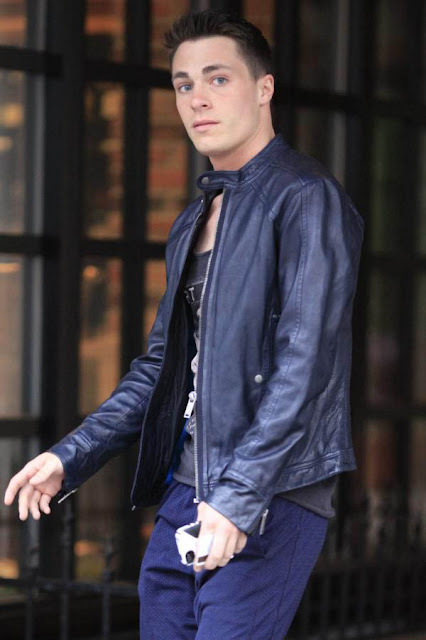 Arrow hottie Colton Haynes was spotted leaving his hotel for his yoga class in Vancouver, Canada. Odd outfit but still smoking hot!! !